The corn vase is absolutely my favorite! I created this for Connecticut Homes and Gardens magazine Harvest Ideas. 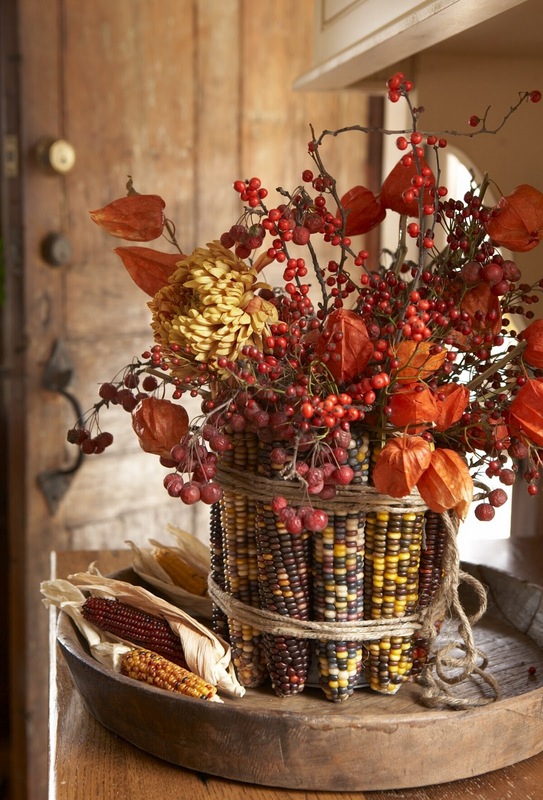 Just what can you do with Indian corn besides hang it on a door?? TRY THIS, It will look fantastic in your entryway or on any table. How to: Wrap the can with rubber bands. Then remove the husks from corn and simply slide the corn cobs in standing them upright. Cover the rubber bands with twine!!! How easy was that? 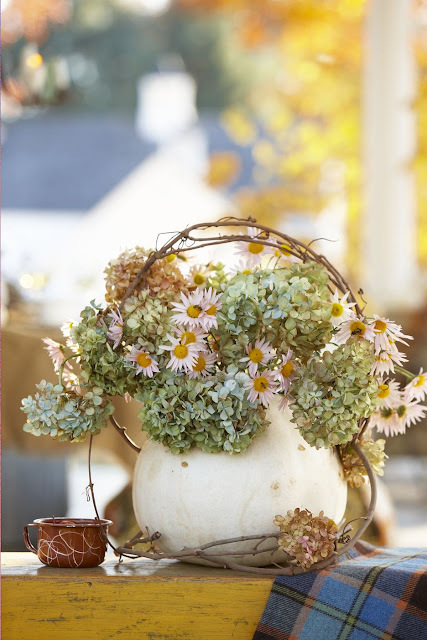 Now fill with fall flowers like dahlias, mums, berries and asters! I'm Karin and I am a stylist, life style editor, designer, artist, and producer. I create DIY projects and style houses for dozens of magazines, catalogs and websites where you may go to get your design inspiration. 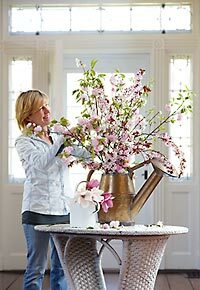 I love to create beautiful rooms, vignettes, floral arrangements while creating entertaining ideas. This year I started producing crafts and lifestyle ideas for the CT FOX NEWS Morning Show. This blog is my opportunity to share with you all of the projects I create for Country Living, Better Homes and Gardens, New England Homes Magazine, Traditional Homes and many more. I will also share my exciting and hectic life as a stylist, my favorite styling ideas, the way I work, the places I go and the exciting homes and people I meet. Enjoy and be inspired! Pin the images on this page, or go to each post to pin post-specific images!